From Goodreads ~ The hilarious behind-the-scenes story of two guys who went out for coffee and dreamed up "Seinfeld" - the cultural sensation that changed television and bled into the real world, altering the lives of everyone it touched. Comedians Larry David and Jerry Seinfeld never thought anyone would watch their silly little sitcom about a New York comedian sitting around talking to his friends. NBC executives didn’t think anyone would watch either but they bought it anyway, hiding it away in the TV dead zone of summer. But against all odds, viewers began to watch, first a few and then many, until nine years later nearly forty million Americans were tuning in weekly. 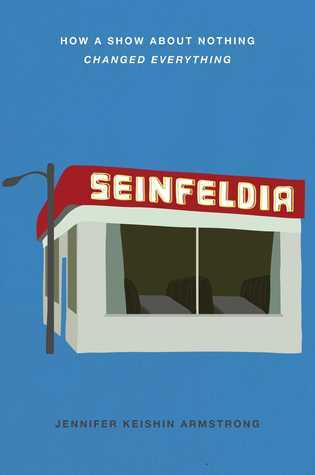 In "Seinfeldia", TV historian and entertainment writer Jennifer Keishin Armstrong celebrates the creators and fans of this American television phenomenon, bringing readers behind-the-scenes of the show while it was on the air and into the world of devotees for whom it never stopped being relevant, a world where the Soup Nazi still spends his days saying “No soup for you!”, Joe Davola gets questioned every day about his sanity, Kenny Kramer makes his living giving tours of New York sights from the show, and fans dress up in Jerry’s famous puffy shirt, dance like Elaine, and imagine plotlines for "Seinfeld" if it were still on TV. This book is everything about Seinfeld, the show about four self-centered friends and what happens in their lives. It provides the details about how the show came to be ... Larry David and Jerry Seinfeld coming up with a show that the network didn't really believe in and David and Seinfeld themselves didn't think would go anywhere. Surprise! It lasted nine seasons until Seinfeld decided to quit while they were on top. There is information about the backgrounds of Jerry Seinfeld, Jason Alexander, Julia Louis-Dreyfus and Michael Richards along with what they have been doing post-Seinfeld. The actors playing the smaller role characters such as the Soup Nazi are also covered, including what they did before their roles and what they too are doing post-Seinfeld. We learn more about Kenny Kramer, the basis for Richards' character, the real Monks Restaurant and how the real soup nazi felt about all the exposure (he wasn't pleased). 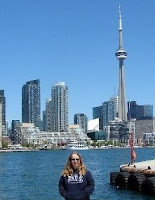 It was interesting to learn more about the writing and how the crazy stories came about. There was a quite a turnover of writers because Seinfeld and David wanted fresh real stories so many of the plots actually happened to the writers or people the writers knew, though twisted a bit to fit the show. For example, there really was a family who invented and celebrated Festivus. The crazy dance that Elaine does was based on Lorne Michael's dancing skills (or lack of). How was the finale received? There's even the back story of the girl in the Rochelle Rochelle poster. If you are/were a fan of Seinfeld, you'll find this book interesting. It was fun to get the behind-the-scenes scoop on the show.